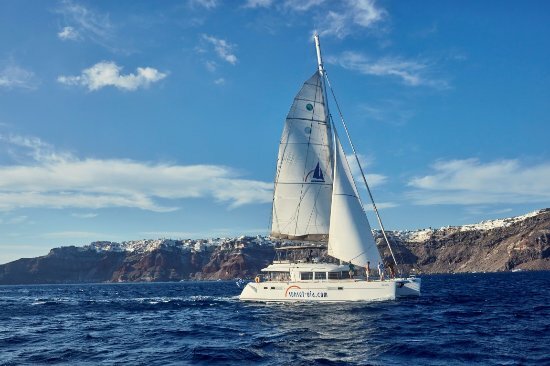 Full Day or Sunset semi cruise departs from Vlychada, sail close to the caldera cliffs, past the Volcano and stop for swimming at its Hot Springs. 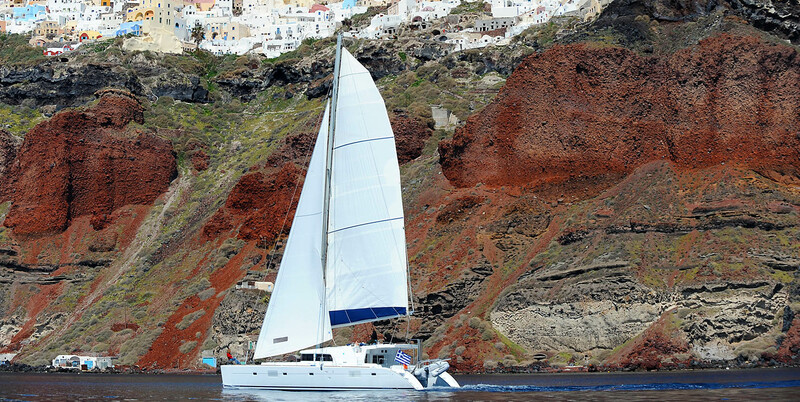 Pass the Venetian Lighthouse, the Indian Head Mountain and anchor at Red Beach and White Beach for swimming and snorkeling. Have a delicious BBQ lunch or dinner (soft drinks & wine included), while watching the sunset beneath the picturesque village of Oia. Day Tour: Departure time:~10:00 Duration: 5 hours.